The beta program for iOS 12 was finished the moment the software was released for iPhones and iPads back on September 17. However, if you were on that program, you still are and this week you'll have seen your iPhone or iPad press you to install the beta of iOS 12.1. If that's what you want, then go right ahead and install it. Unless you take steps to actively leave the beta program, you're going to be on it for good. Or at least until Apple starts testing iOS 13 some time next year. 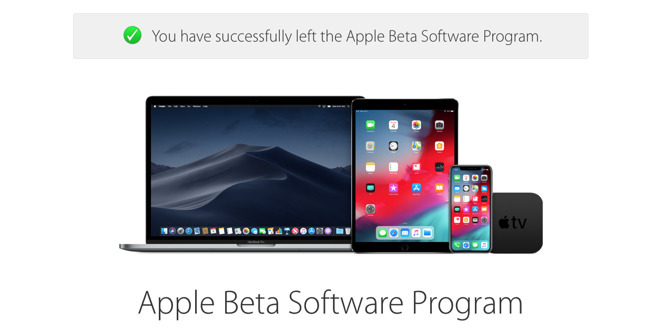 This is similar to how you may have signed up for the macOS Mojave beta in order to try the software out early. You can quit that macOS beta program quite easily but the iOS version is a little trickier. There are three steps: stopping your phone being on the beta, getting the phone onto the shipping version of iOS 12, and then unenrolling your Apple ID from the program. On your iPhone or iPad, go to Settings, General and scroll down to a option called Profile. 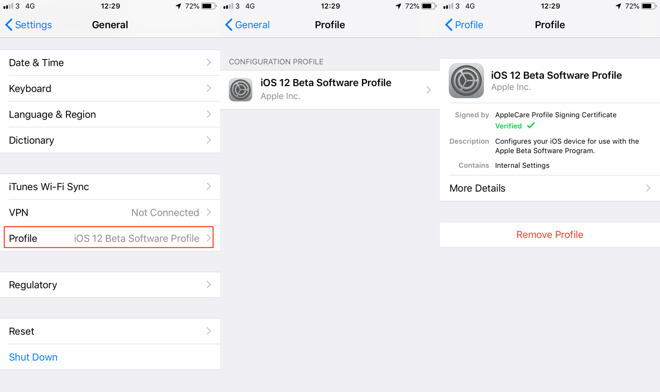 Right now your device says "iOS 12 Beta Software Profile" on that line and there's an arrow. Tap on the line to follow that arrow into the full Profile section. It's possible to have multiple profiles on your phone but the odds are that you have just the one listed here. It will be that iOS 12 Beta one so tap on that. Next you get a little more detail about what this profile does but you can skip reading all of that —it just tells you that it's how you get to run the beta —and instead tap on Remove Profile. You'll be asked again if you really want to remove this profile. You do. And then you'll be asked for your passcode. When that's done, check that you no longer have the profile listed. If this were your only one then that whole Profile section will have vanished from Badge of honor. We may never have offered a simpler tip in the entire history of AppleInsiderIt's this: wait. If you'd been doing this before the official release of iOS 12 and you wanted to go back to iOS 11 then it would be more involved. It would require you doing a complete restore of your iPhone from your iTunes backup —which of course you have ready. As it is, though, you're not going back, you're rejoining the ceaseless forward motion of iOS updates. Whenever the next shipping, non-beta release is, your iPhone will get that and every trace of the beta program will be gone. 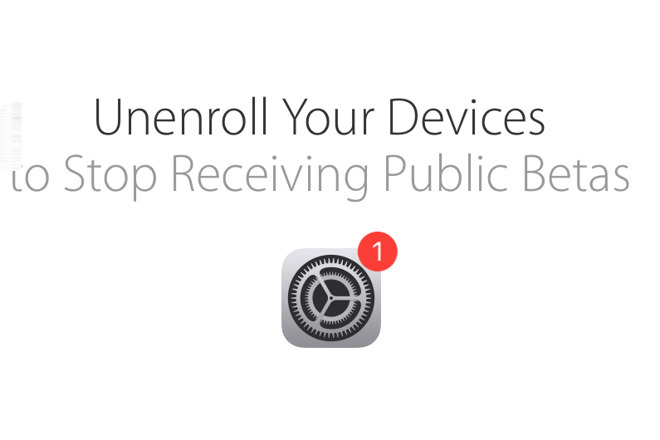 Or rather, it will if you also unenroll from Apple's beta. Go to https://beta.apple.com/sp/betaprogram/unenroll. You'll recognise most of that address from when you first signed up but now you're going to the section for getting off it again. This page gives you options for leaving the macOS, iOS or tvOS betas. Choose iOS and then when the instructions page appears, scroll right down to the very bottom. Under the heading, How do I leave the program?, click on Sign In. You'll need your beta program username and password but the odds are they're the same as your general Apple ID one. Enter them and an kind of pop up message appears asking if you're sure. That's it, you're done. Or very nearly. After you've done all of this, it's still possible that your Settings gear icon will show a red badge with the digit 1 in it. Even though that does mean you have an update, you don't. Not yet. Whether you get this issue depends on when you unenroll and just when a new beta has been released. If you do it after a beta update that you don't install, then you'll get the red badge. It will go away again after the next shipping version of iOS 12 comes out. In the meantime, just confirm your sanity by going into Settings. You'll see that update badge next to the General section. Tap on that and your iPhone will start looking for an update. Unless you happen to be doing this just when the next shipping version is available, your phone will tell you that you're up to date and there's nothing more to install. So despite that nagging badge count, you are now off the beta program.